Durable weather-resistant polyester webbing with stitched reinforcement. Automatic locking ratchet action secures items quickly and easily. Quick-release high-tension handle. S-hook ends. Resistant to cutting and abrasions. 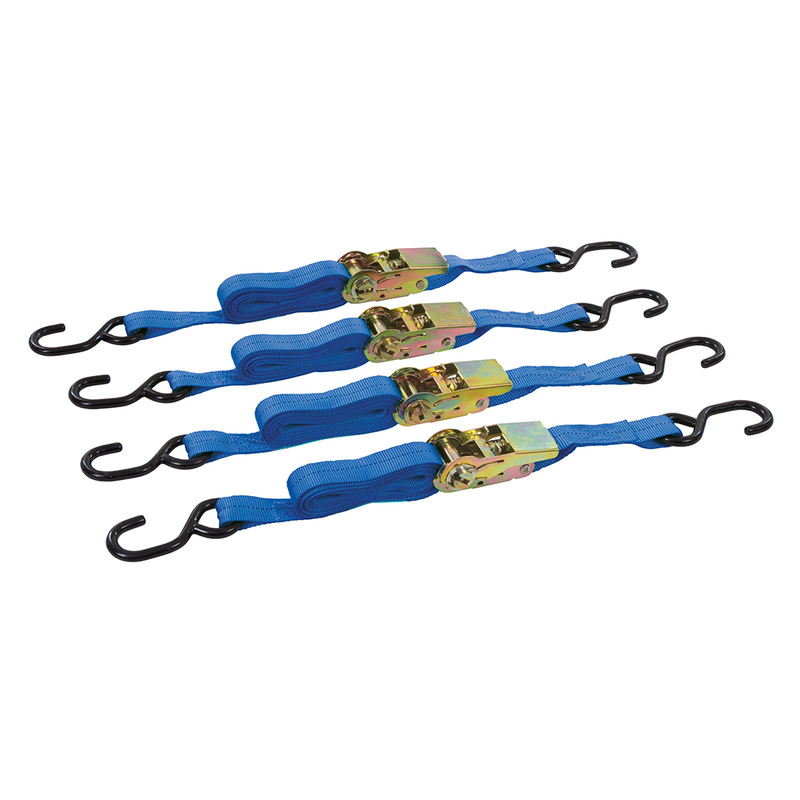 Suitable for tying down large, bulky and awkwardly-shaped loads during transit. Conforms to BS EN12195. 4m x 25mm 4pk.